- I have done more than fifty 5000+ meters passes in total by bike, all of them on the Tibetan plateau. 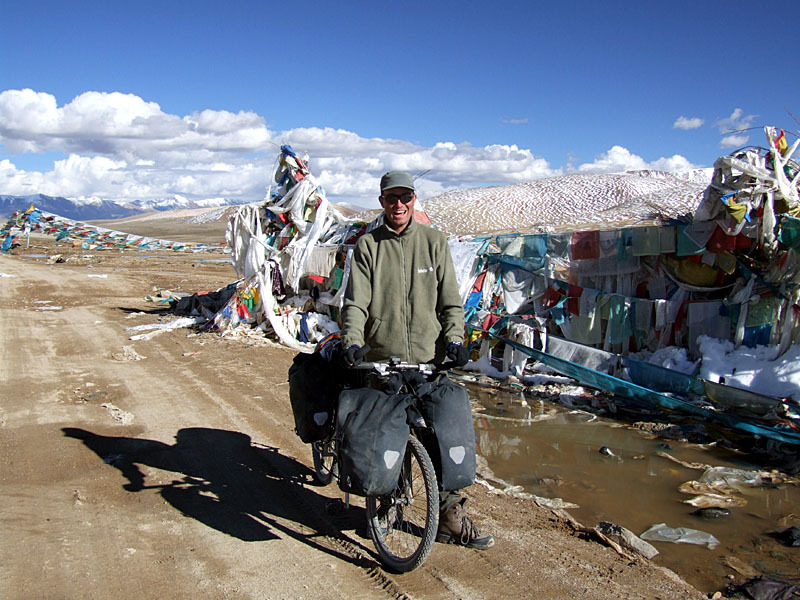 I love cycling really high passes - passes being over 5500 meters. 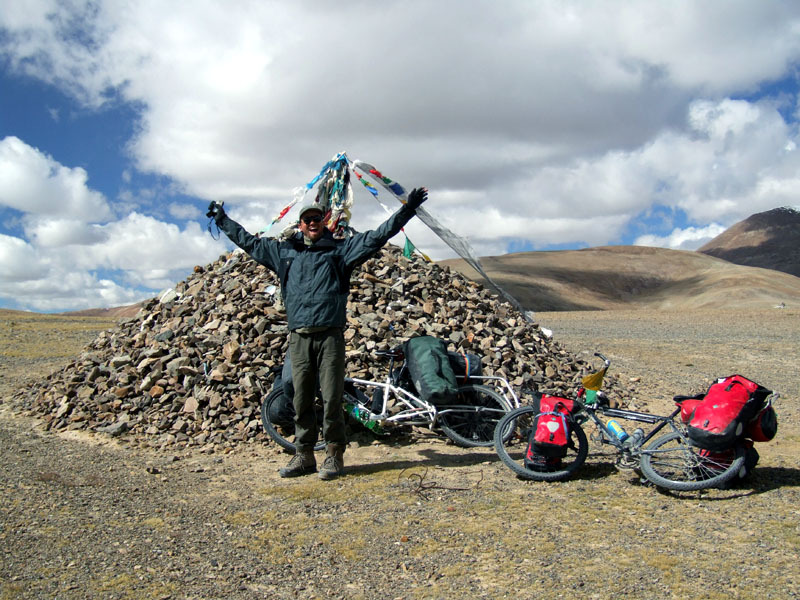 I have done 8 different of those with fully equipped bikes: Three roadless passes in Tibet's Chang Tang and four in the Gangdise range. All heights measured by gps. Area: A rather difficult (!) shortcut to the Guge kingdom. Nomads warned me against the yeti (tib: midre) up there - but it had the direct opposite effect! There is a old road going up to 5100 meters - then nothing. Went there because I wanted to prove there has never been a road over the nearby Bogo La up the same valley as claimed by some. Jeff and I also did an attempt in 2004 to go up the bogo la, but I was sick and we had too much snow in october. 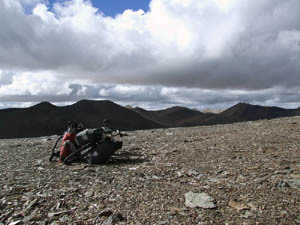 Area: northwest part of Tibet's Chang Tang. No road. We spent 4 days going over this flat pass in a crystal world beyond time and civilization. 5578 meters Lo La (a local called it that. Not sure its correct). 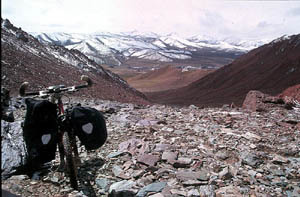 A secondary road went over a 5593 m. hill before the pass itself. Some cartographers see this as a good candidate for the highest road pass on earth in use. 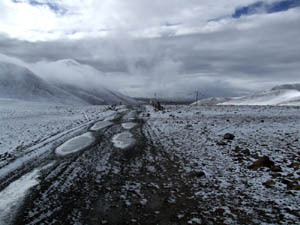 Area: south of Coqen on the shortcut between the northern and western road in west Tibet. Quite flat pass climb. The most trafficked 5500 roadpass I know about. 5538 meters Ga Ja La. Area: north of Barga near Mt. Kailash in west tibet. 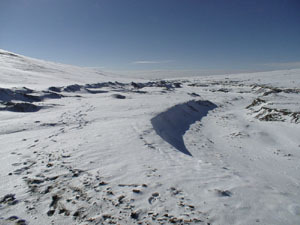 The road was maintained in 2004 but in 2006 a long section on the south side was flushed away. I'm not sure this road is in use any more. Trucks went over it in 2004. 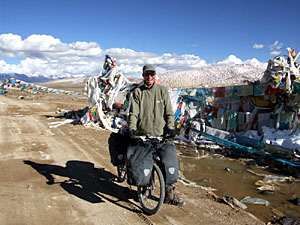 Area: Northwest Chang Tang on an old trade path from Leh. Extremely steep pass at some sections - no road. Went over it during a very rough trip - we didn't see any human beings for 14 days. 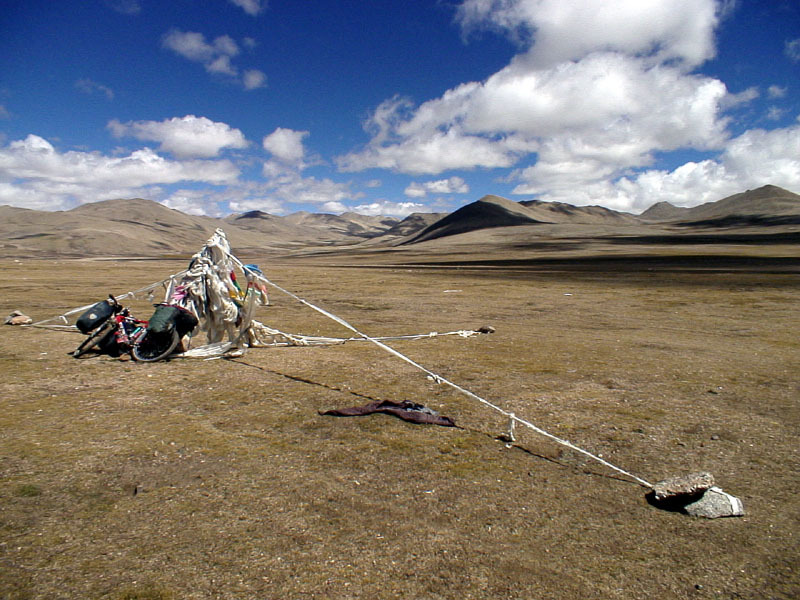 Area: North of Basaguke on the southern road in Western Tibet. More a trail than a road. Beautiful area. Didnt see any people here for a couple of days. 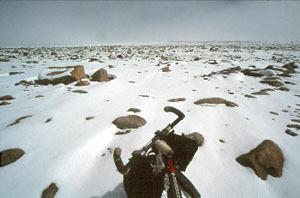 When: 2005, during solo crossing of Chang Tang. 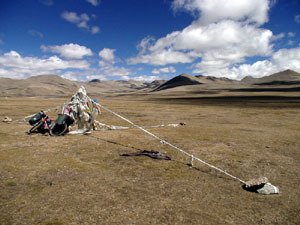 Area: Tibet's Chang Tang, center part. No road. Ran into a snowstorm on the way up the pass and had to use crampons for the last 150 meters of the pass. It was hell on earth with some 30 kg of food + 6 L fuel on the bike and up to some 40 cm. of snow some places. No people for 19 days in this area.